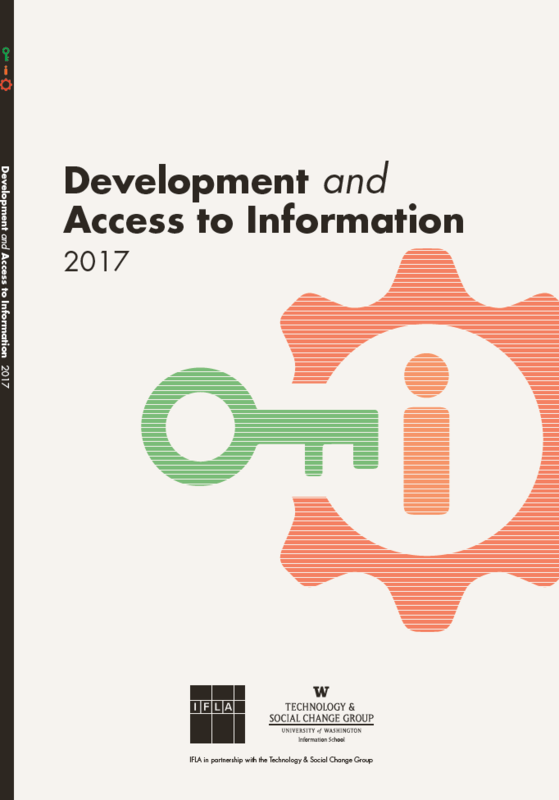 Development and Access to Information (DA2I) is the first of a series of reports that monitors the progress countries are making towards fulfilling their commitment to promote meaningful access to information as part of the United Nations Sustainable Development Goals. DA2I is launched at the time of the United Nations High Level Political Forums (UN HLPF) and it is designed for UN member states, intergovernmental organizations, funders, civil society, other stakeholders working in development, and the library community itself. It underlines the invaluable contribution that information access, particularly through libraries, makes to promoting more socially and economically inclusive societies. The DA2I 2017 thematic chapters focus on the following goals: Zero Hunger (SDG2), Good Health and Well-being (SDG3), Gender Equality (SDG5), and Industry, Innovation and Infrastructure (SDG9). Click on the each of the active icons to learn how access to information contributes to the selected SDG.